Welcome to Central! We invite you to take a "virtual tour" through our many activities and opportunities for joining in our life with Jesus Christ. He leads us -- we follow Him with joy! We offer our Sunday messages to you for strength and hope in these uncertain times. If you have moved into our area, come, worship with us. If you are curious about any of our ministries, please feel free to call or to write us. God bless you! We meet each Sunday from 9:30-10:30 a.m. for Sunday School. 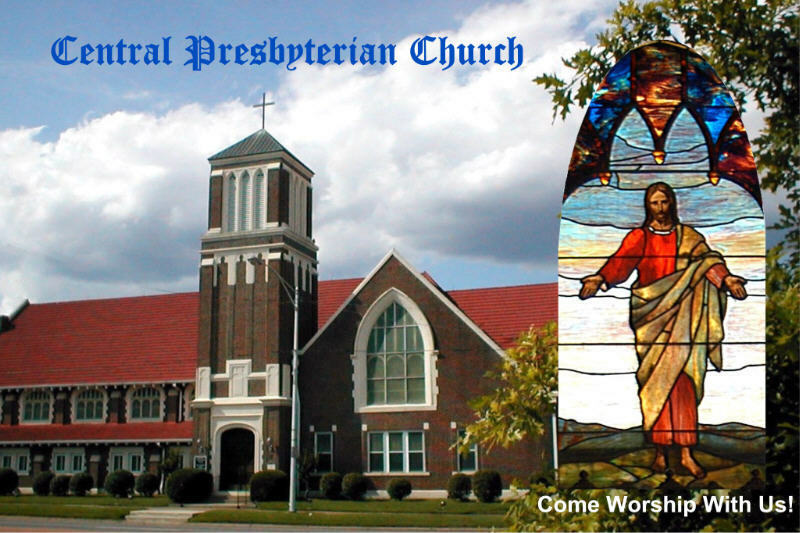 The worship service starts at 10:50 a.m. You can find Central at the corner of West Main and North Denver in the Russellville downtown area. The office is located in the new addition at the northwest corner of the church. All are invited to our church family! Address for the Church Directory.